After emerging from her Descent into an uncharted underground world, Ollie Miller is sure of three things. First, her feelings for her best friend, Mateo, are far from platonic. She can't even look at Mateo without blushing at the memory of his lips on hers. Second, an evil man named Zadok is plotting to destroy the civilization above the surface. Third, there is no way to save the earth without returning underground. At least this time, she will have her mother along with Mateo and her friends to help guide her. On their journey, noor, a mystical blessing guides them, but only if they’re willing to follow. Ollie’s determined to save the tribe from their evil leader, even if it means facing off with her long-lost grandfather. As Zadok comes face to face with his runaway daughter and his granddaughter, his plan starts to unravel, but is it too late to stop the destruction that he put into motion? Can the tribe survive and the surface be saved? Will Ollie learn to trust her own heart before it is too late? 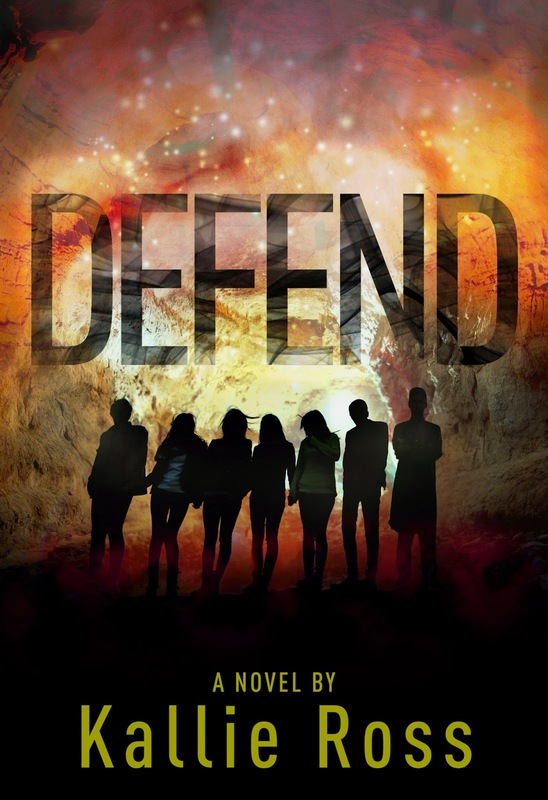 Defend is the conclusion to Ollie's discovery of a lost tribe in Descent. Don’t miss this adventure, brimming with ancient secrets and a thrilling underworld. Kallie Ross has a love for learning that has gravitated toward studying conspiracy theories and contradictions in our culture. Her creative conclusions have ignited a passion to write compelling young adult fiction that incorporates legend, conjecture, fantasy, and conviction. Kallie's first novel Descent: A Lost Tribe Book 1, was released last year. Kallie Ross loves being a wife, mother, friend, writer, and teacher. She began teaching high school English in 2002 and started blogging and podcasting in 2008. She has a brilliant husband, two redheads, and never imagined her life would ever be this fun!